One of the things I love about living in Alaska is the way people get out and play. It was Thursday afternoon, I had a few hours that weren't booked up, so I went to Point Woronzof to take some photos. There were at least three different families just spending their afternoons throwing rocks in the water. How lovely! Point Woronzof is one of my favorite spots in Anchorage to take photos. There are so many different views to capture there-- and it is so accessible! Where else in the country can you drive 15 minutes from your house, still be in your city, and get views like this?! Water, mountains... it has it all. Friends strolling on the beach. Perfect spot for a mid-day picnic. 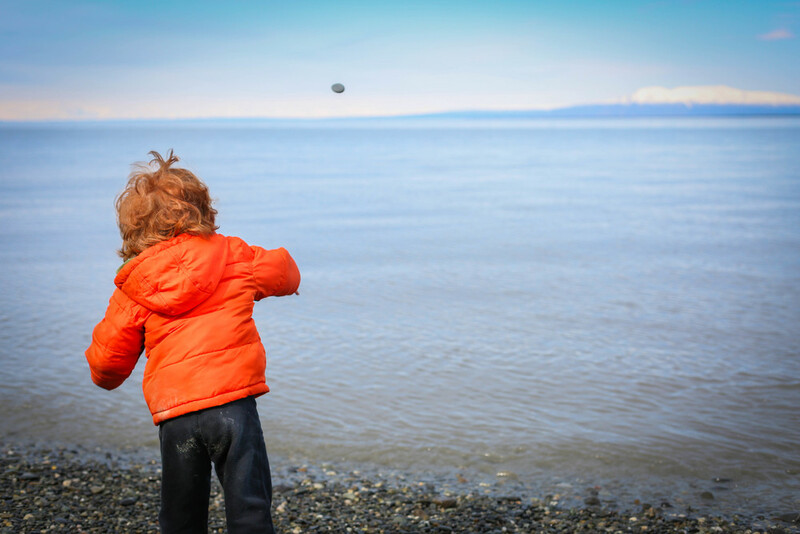 As this child throws rocks into the water, his mom tells me: "It's the simple things."